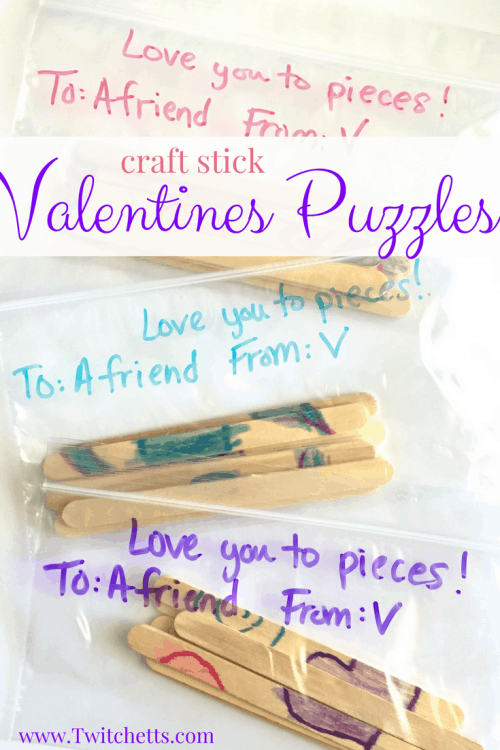 Let your child decorate and pass out these easy craft stick Valentines Day puzzles. 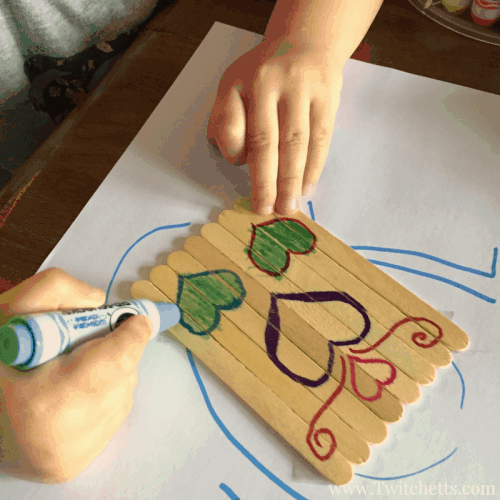 This project is super easy and lots of fun for your kids. Plus it doesn’t require a lot of supplies. Just some craft sticks, markers, and snack baggies. 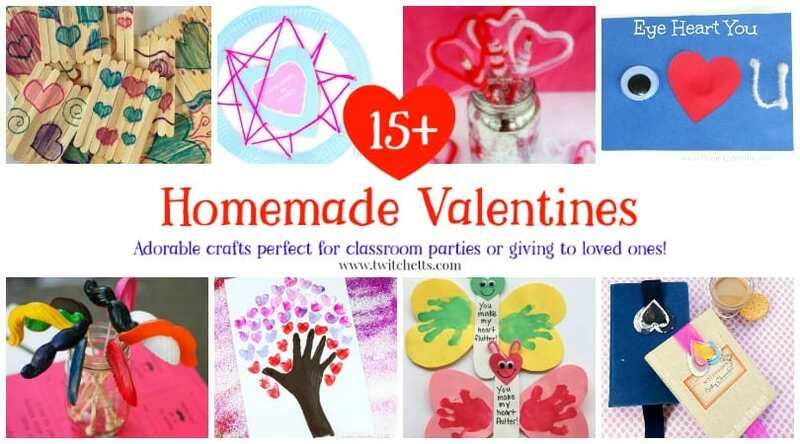 Is your child’s classroom requesting a non-candy Valentines to be sent to school this year? 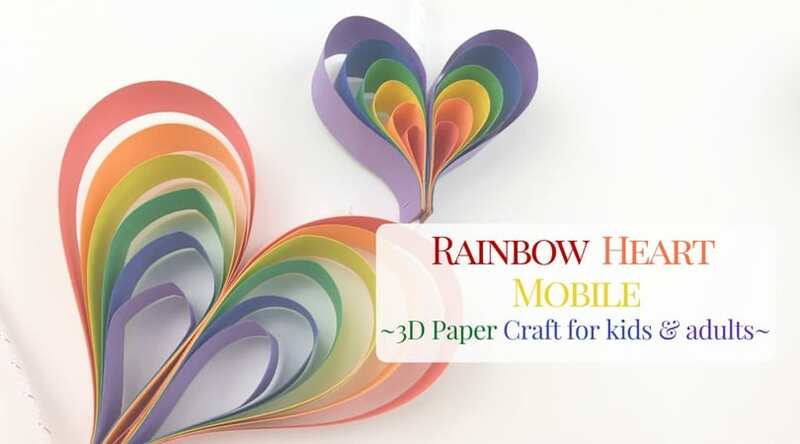 If you have little ones at home this might be the perfect idea to send. 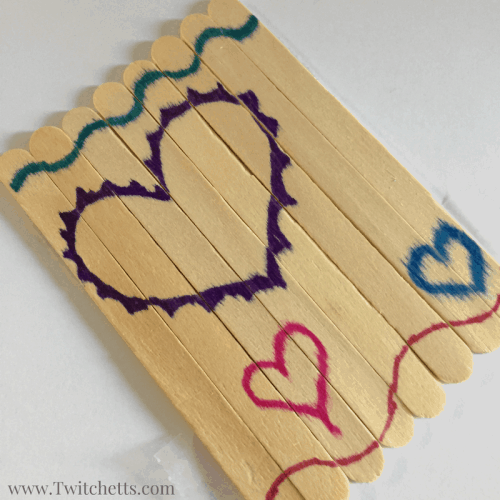 These homemade Valentines are fun little craft stick puzzles that your kiddos can help create! 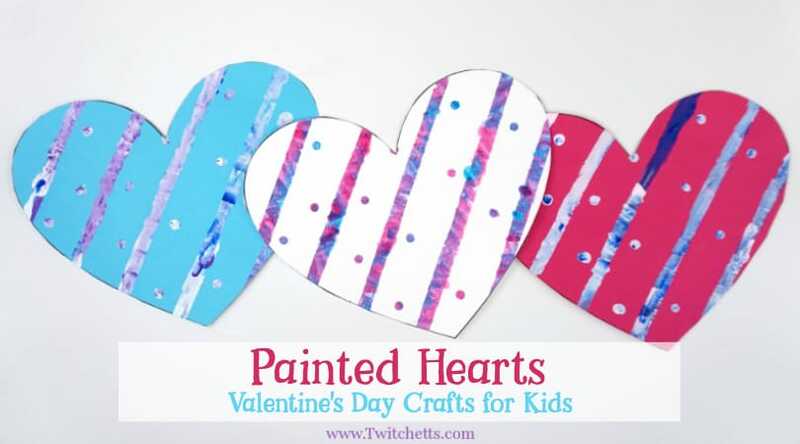 Add them to your Valentine’s Day crafts for kids to-do list! 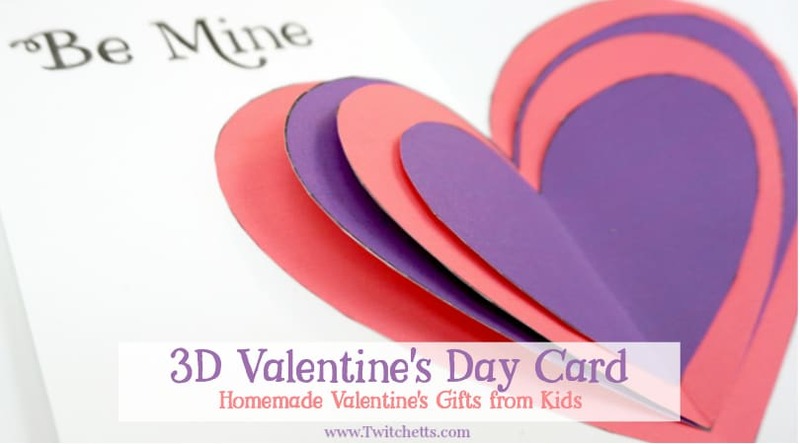 We usually send Valentines without candy each year, we have done beaded necklace Valentines, and glow bracelet ninja Valentines, but this is the first year it was actually requested! 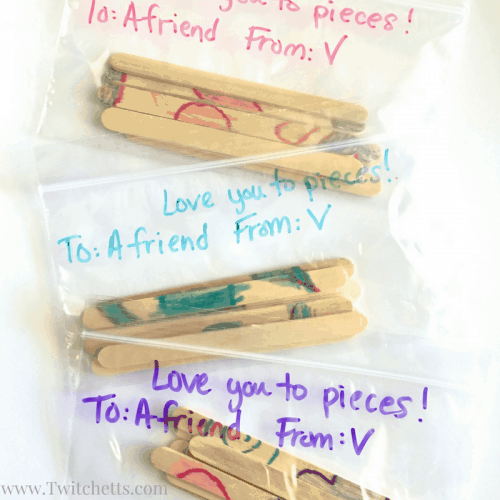 I was happy when I figured out a fun homemade Valentine that V could actually help me create. She will be proud to pass them out to all of her little friends at school. Start by taping your sticks together. 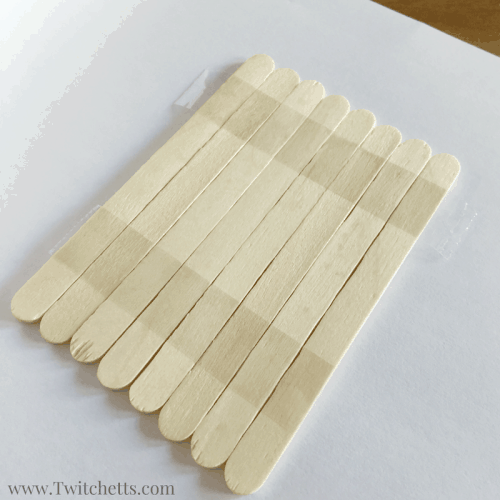 I used 8 sticks each. 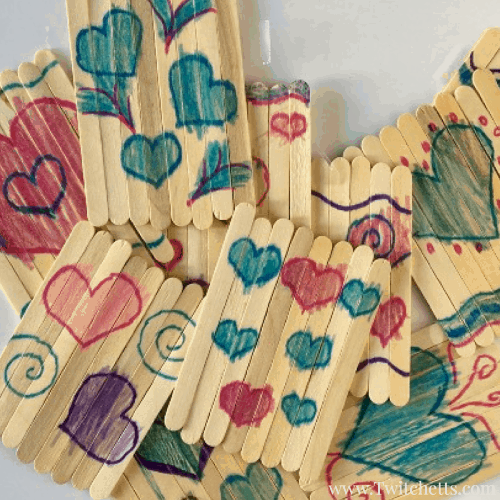 Then flip over and draw a fun Valentine’s Day design using your permanent markers. Washable markers will be a bit lighter letting your design show through. These will be so fun for them to pass out. 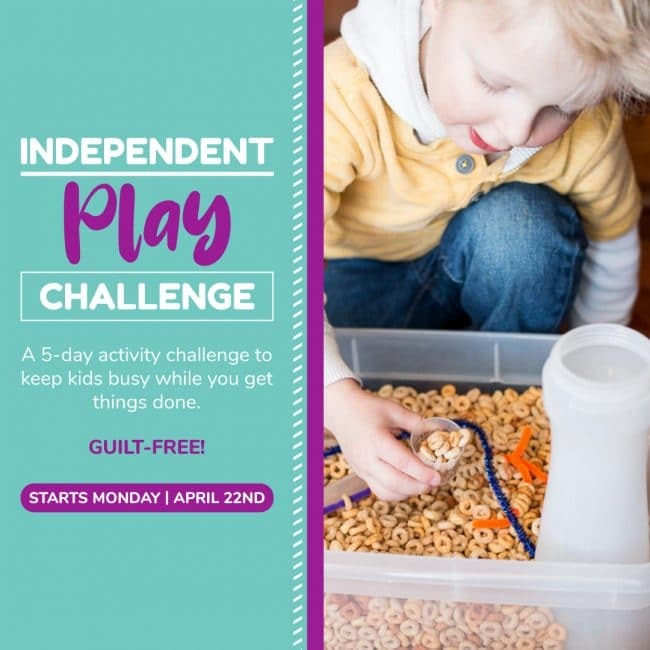 Make sure to make one or two extra to keep at home for your little one to play with!